Women LOVE their handbags! In fact, I’m not sure if I would even be brave enough to open a handbag store considering just how serious many women are about handbags. Seriously though, if a woman orders a handbag online, you can bet your bottom dollar that she is going to be seriously upset if that bag ends up being a disappointment. With the above in mind, I do believe it is fair to say that this Company must obviously be doing something right because they have managed to remain in business for over a decade already. However, having studied countless customer reviews, it has become clear to me that while most customers have been thrilled with their bags and purses, there have also been many who felt let down. If you are considering buying a bag online, please continue reading and then decide for yourself whether or not you should order one from this particular business house. This retailer operates remotely from Paris, with an office and a warehouse located in Hong Kong. They have been manufacturing and supplying “designer inspired” handbags and purses since 2004. It should be noted that they do not sell any illegal designer handbag replicas. When they first started out, their handbags and purses were only available in regular high street stores, but following a great deal of success, the decision was later made to make their products available directly to consumers via their website. Today, they have grown to be one of the most popular sites in this niche, shipping thousands of bags and purses all over the world. Designer Inspired Bags – The firm actually hire French “fashion scouts” to constantly look for new styles and trends which have become popular. When they discover a new and popular design, the company’s own designers will then create a very similar version of that bag. In short, customers are able to get bags which are very similar to those made by some of the industry’s top fashion designers. Low Prices – I know that there are millions of people who believe genuine designer brands are always the best quality, but sadly, this is not always the case. In many instances, the higher cost of designer goods doesn’t always stem from the cost of using superior materials. Don’t forget, you are also paying for the name. When you buy your bag from this particular company, you are not paying for any name, but you are still able to get a bag which looks just as good as any “designer” bag does. In short, you are getting a great looking bag for a very reasonable amount of money. Massive selection to choose from – There is simply no denying the fact that this supplier has an extraordinary range of handbags and purses to choose from. No matter what your favorite style is, you’ll almost certainly find that special bag that immediately steals your heart. Designer inspired bags and purses – Not really much to say here because I’ve already touched on this. However, the fact that all their bags are designer inspired has clearly helped to attract an almost endless stream of customers. Reasonable prices – One really doesn’t even need to read through any reviews in order to appreciate just how reasonably priced the bags and purses are. If you visit the site, this is something which becomes apparent almost immediately. Convenience – As is always the case with online shopping, the firm offers people a very convenient way to browse and shop for handbags and purses. They also have several payment options in place which ensure that all transactions are safe and secure. 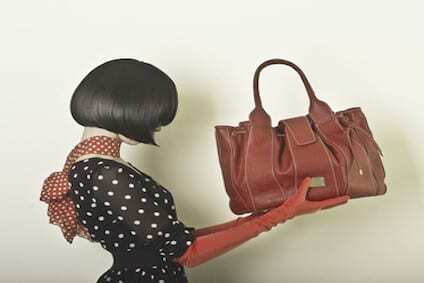 Bags not as advertized – Not many customers have made this sort of complaint, but there are some who have reported receiving a bag made from imitation leather when in fact they were expecting bags made from real leather. I must however add that many customers have actually been very impressed with the quality of the leather this company uses. My advice would be that you should determine whether or not your preferred bag is made from leather or synthetic leather prior to placing your order. Poor customer service – Here again, many customers have only had good things to say about their customer service experience. Unfortunately however, there do seem to be quite a few customers who were left feeling frustrated and angry. Most of these complaints seem to be about a lack of timely communication. Poor quality – While I was studying an almost endless number of reviews, I did come across several comments relating to poor quality. Some customers have reported that the zips on their bags broke after only a few days, while others have said the gold plating on their bag’s hardware started fading and/or rubbing off within a very short space of time. Dubious business practices – I’ve seen a number of reports saying that this manufacturer pays bloggers to write favorable reviews and/or articles relating to their products. In all fairness however, it should be noted that thousands of companies do the exact same thing. Most often, a company will give you one of their products for free, and in return, you agree to write a review relating to that product. Of course many people then feel obligated to write a positive review, but in truth, you are actually free to write a negative review if you believe it is justified. We, at ReviewzRock, never believe in that sort of practice of getting free products and feel obligated to write positive reviews. We ensure that we give completely honest and unbiased product reviews based only on facts and without fear or favor. Prices are very reasonable and shoppers can pay in three different currencies: Dollar; British Pounds, and Euros. The company currently ships to all countries. However, they are not responsible for any Customs Duty or import fees that may or may not be required in your country. Also, all communication is done in English. Personally, I do believe that this manufacturer is providing a wonderful service. Their handbags and their purses represent excellent value for money, and I very much like the fact that they draw inspiration from some of the world’s best known fashion designers. Don’t automatically assume all bags on the site are made from real leather. If the name or product description doesn’t state that it is real leather, then it probably is not. Remember, “Faux Leather” is not real leather, so pay attention to this when you are shopping for a bag. You might or might not experience delays with regards to communications between you and the company. As I’ve mentioned earlier, a number of customers have reported slow response times when they contacted Customer Support. Summary Their handbags and their purses represent excellent value for money, and I very much like the fact that they draw inspiration from some of the world's best known fashion designers. If you want an affordable and yet good quality hand bag then I think you will be very happy with this company. Kalpana is a skincare and beauty enthusiast who has done extensive research in finding the best and the most effective natural skincare, hair loss and beauty products. She is experienced in homoeopathy and natural remedies. Over the years, she and her family have developed a strong trust and respect for these systems of medicines as they have proved very effective in treating all sorts of ailments and health conditions. She is a double graduate both in Science & Education and is also a certified educator. She has several years of experience in educating high school children. Through these reviews, she shares her findings and expertise in helping other women and men to achieve and retain their health, well being and youthful looks.